Today's hike was to the Death Canyon Patrol Cabin, which sounds like a title taken straight from some horror movie. While the distance between Rexburg and Grand Teton is shorter than that between Rexburg and Yellowstone, the drive to GT was less scenic and had a couple slow segments as the road goes through several small towns. After a circuitous route up and down a mountain, I suddenly came upon the entrance to the park. It came out of nowhere, and I almost drove right into it. I was glad for the good brakes. The first quarter mile post entrance is paved, but turns rough for a few miles. 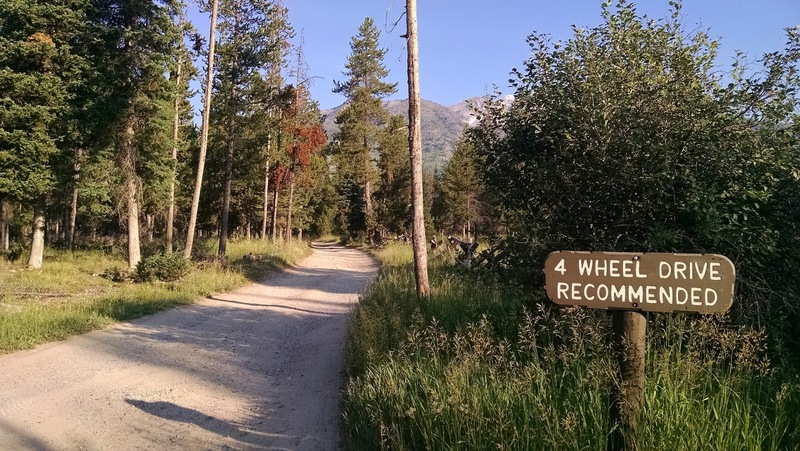 As I approached the trailhead, a sign said something to the tune of "4-wheel drive" recommended. I took that as a hint to park and walk the remaining one mile to the trailhead. After about 0.9 miles of hiking through lodgepole pines, I reached the Phelps Lake Overlook, which provides a 567-foot high view of, well, Phelps Lake. From there, a series of switchbacks took me down nearly to the lake shore. For about 1.5 miles, the trail consisted of a series of moderately strenuous switchbacks all the up to the Patrol Cabin. Since I was hiking early, and there was barely anyone around, I played NPR's TEDRadio on my phone's speaker as a way to warn any nearby bears of my impending arrival. Of course, I also had bear spray. Death Canyon was formed ~15,000 years ago by glaciers, while the Patrol Cabin was built in 1935 at the junction between the Death Canyon and Alaska Basin Trails. Here they are! See photos of my Death Canyon hike up to the Patrol Cabin here. Tip: Be prepared to get scratch up a little as part of the trail gets pretty narrow between a bunch of shrubbery.